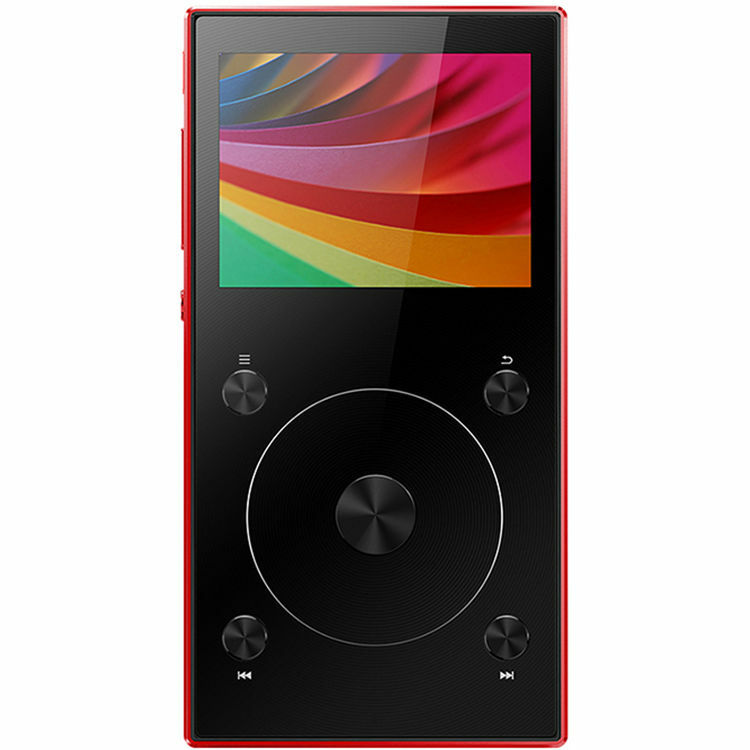 Styled in red, the FiiO X3 Mark III is a high-resolution portable audio player with a host of ancillary functions and features. For instance, it can double as an asynchronous USB DAC capable of handling 192 kHz/24-bit PCM files. The player is also Bluetooth 4.1 enabled, though not at the expense of fidelity. Three separate PCBs have been utilized in the construction of this mobile player: one for the digital section, one for analog amplification, and another for Bluetooth. The X3 Mark III provides both 3.5mm and 2.5mm jacks. The 2.5mm jack is for use with balanced headphones and can offer you a more detailed listening experience with a wider soundstage. The 3.5mm output, on the other hand, is not just a headphone output. It's also a line output and a coaxial jack that outputs DOP and D2P files. This means you can play both DSD and PCM files without an encoder. The X3 Mark III gives you the usual 3.5mm single-ended headphone output. However, there's also a balanced 2.5mm jack that allows you to achieve a more detailed listening experience with a broader soundstage. The X3 Mark III provides two high-performance PCM5242 DAC chips. These DAC chips offer a high signal-to-noise ratio, as well as effective noise reduction. In the X3 Mark III, the DAC, low-pass filter, and op-amplifier all utilize separate chips to reduce the potential for interference between processes. Such interference could result in an inferior listening experience, which is why FiiO opted for this construction. Three PCBs have been employed, one for digital processing, one for analog amplification, and yet another for Bluetooth operation. The X3 Mark III gives you a multi-function button, which in one press allows you to access playback controls, change the equalizer settings, or switch between playlists. The X3 Mark III has been certified by the Japan Audio Society as a Hi-Res Audio product. WAV, APE, WMA, FLAC, ALAC, MP3, and more—they're all supported, lossless and lossy alike. Bluetooth 4.1 is provided thanks to the X3 Mark III's F1C81 chipset, which enables low-latency transmission. With support for microSD cards up to 256GB, you can carry thousands of songs with you on the move. For instance, you can carry up to 8,000 30MB FLAC files at one time. The X3 Mark III's line output doubles as a coaxial output for digital sources and is capable of outputting both D2P and DOP, so you can play both DSD and PCM files without an encoder. Box Dimensions (LxWxH) 6.8 x 4.4 x 2.1"
X3 Mark III Digital Audio Player with Bluetooth 4.1 (Red) is rated 4.6 out of 5 by 5. Rated 5 out of 5 by kevin d. from Fiio X3 Mark III I have used this product for close to a year now as a replacement for the classic iPod which was finally sunsetting. Since I use Macs, one must drag music into the files as this is a Android-based device. I appreciate the options the X3 Mark III offer in terms of music spacing, amongst other options. The Blue tooth is the latest generation which helps for those using blue-tooth speakers. Fits easily enough into ones' pocket and not bulky. I would recommend this as a replacement to your sunsetting iPod. Regards. Rated 4 out of 5 by Judith from Great sound, great value I bought this because I needed a Dap with Bluetooth capability. I like the ease of set up, the included extras (screen protector and two different protective cases), the sound from the Wolfson dac chips and the ease of micro SD card change and use. The only reason I didnt give it five stars is because the case feels just on the wrong side of cheap and the screen could be just a little bit bigger. The sound is great and the unit is very easy to use. I think its a great value and the price is great too. Rated 5 out of 5 by Luz from Good MP3 player I decided to try this fiio x3 after reading and viewing good and bad reviews I have to say I don't regret it, sounds really good, I set it up with equalizer off and gain on high, the bass is good not to much, I have listen diferente genres from classical to salsa and is really good, I paired it with my car and had no issues, would recommend . Rated 4 out of 5 by Michael from Good could be better I needed a portable music player with the ability to store more memory than my iPhone. It does that. The battery seems to be as advertised. The only thing I don't like about this is that the usability is, for me, totally unintuitive. I'm used to a single button that takes me home. The menu is also hard for me to get used to. And the wheel that turns is not really accurate in its sensitivity. You could be pushing it forward or backwards and it takes a while to react. Might return this and just get a 128 GB Apple iPod. Overall good machine I just can't get used to it. two formats to consider, aptX and aptX-HD, no support claimed for this model.